This is a project that is aimed at solving real problems, it has a lot of potential to become a big player. VeChain is a Singapore based company. Fenbushi Capital invested in VeChain. Vitalik Buterin (founder of Ethereum) is one of the 3 partners of Fenbushi Capital. They have a strong team with ties to the business world, something that is sometimes missing in other projects. 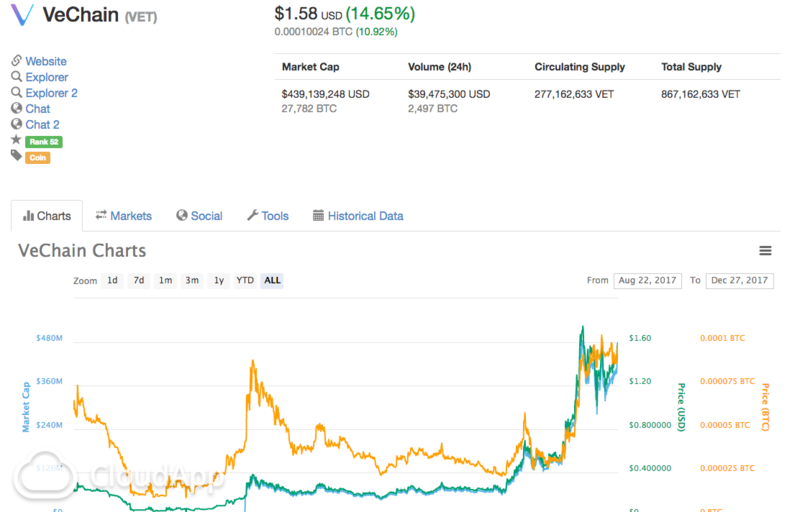 Given the fact that it is still a very young project, ranking place 49 in Market Cap, there is still a lot of growth possible. Great post gorik. Ive just been stalking your feed and its a really nice summary of up and coming coins. Based on what you said about vechain, i think this has massive potential in the ultra-luxury goods market. My room mates routinely buy expensive natural products to ship back to their chinese friends. Whats funny is that the exact same product is sold in china, its just very few people actually believe its the legit stuff. Great idea. Looking forward to the day we can scan the QR code of a product and track the history of its entire journey to market.